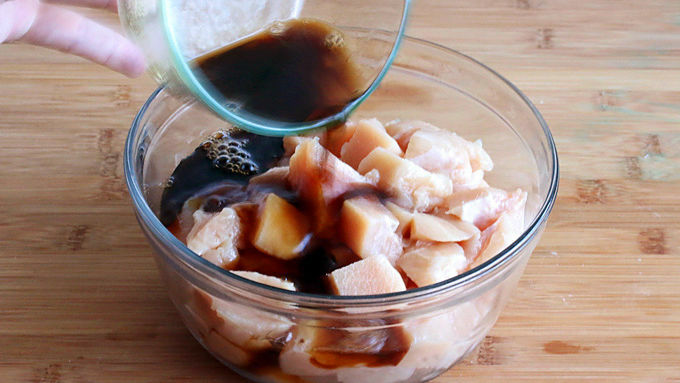 Whisk the marinade ingredients together and pour over the cubed chicken. Stir to thoroughly coat the chicken and let it sit while preparing the rest of the ingredients. 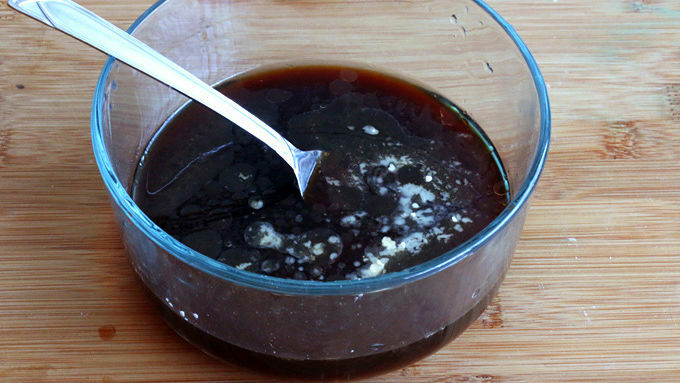 Combine the sauce ingredients, stirring until the sugar and cornstarch are dissolved. Set aside. 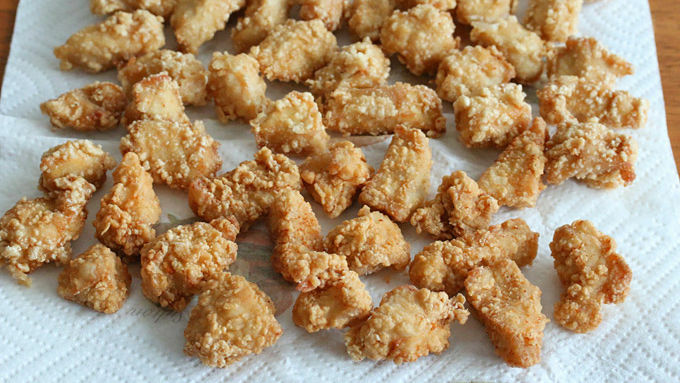 Dredge the chicken pieces in the cornstarch and shake off the excess. Working in batches, deep fry the chicken in oil heated to 375°F until the chicken is golden brown, crispy and cooked through. Place the chicken on paper towels. Heat the tablespoon of oil in a wok or large frying pan over medium-high heat. Fry the garlic and red chilies for about 30 seconds until fragrant. Add the sauce and simmer until thickened. Add the fried chicken, stir to thoroughly coat, and simmer for a couple of minutes until the chicken has absorbed the sauce. Serve immediately. 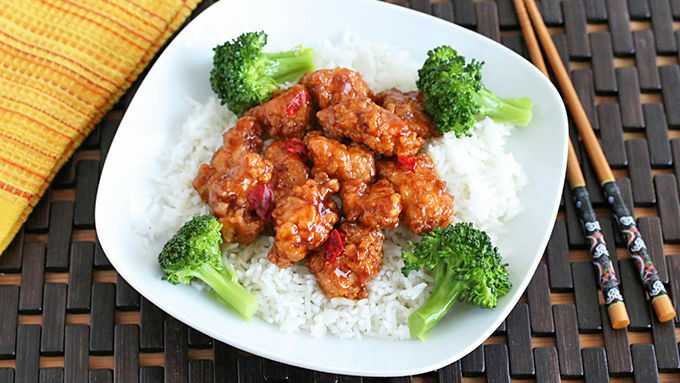 Steamed rice and broccoli are traditional side dishes. 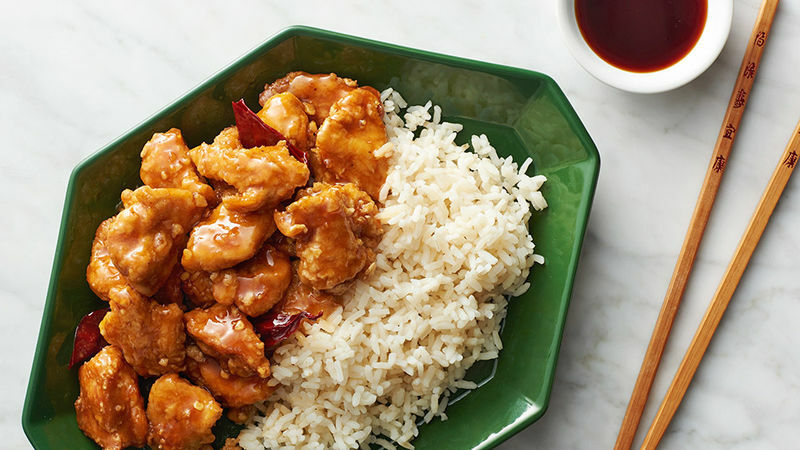 For extra crispy chicken, fry it twice.